Last summer we took the children to Woburn Safari Park. Driving around at 2 mph I became a little obsessed with the vast quantities of zoo poo on display. The lovely brown stuff was sitting by the roadside in huge piles. 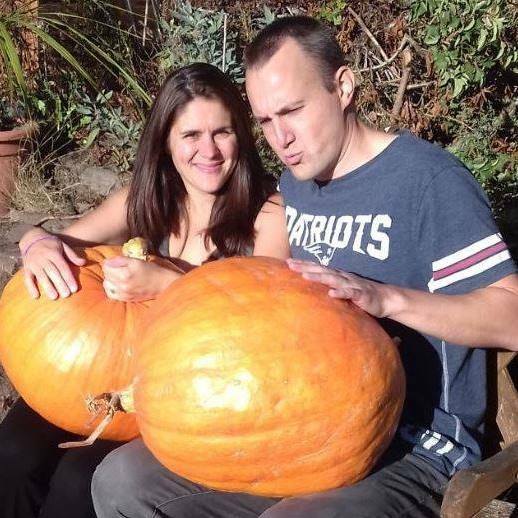 I thought it was definitely the stuff to give me giant pumpkin success in 2018. Rhinos and giraffes were quite literally producing it before our very eyes. “Look at that lovely Rhino poo outside, pass me the big plastic bag in the boot kids, I’m going to grab some” I said. “NO DAD YOU CAN’T OPEN YOUR DOOR!” came the horrified screams. I would have grabbed some as well, it was in touching and smelling distance, but I didn’t want the children’s last memory of me to be that of a rhinoceros impaled man covered in zoo poo. Elephants and hippos are vital within their indigenous environments because they produce a lot of natural fertiliser (together with rhinos they are the biggest land mammals). As elephants roam the countryside they scatter their dung, providing essential nutrients for insects and plants. Hippopotamus poo fertilises rivers providing food for algae and fish for miles downstream (indeed sometimes there is so much nitrogen that toxic algae blooms appear). When hippopotamus numbers decline so too do local soil and water fertility levels. At our allotments I’ve had concerns about our free horse manure supplies for a while – where have the horses been grazing and have pesticides gone through into the dung? 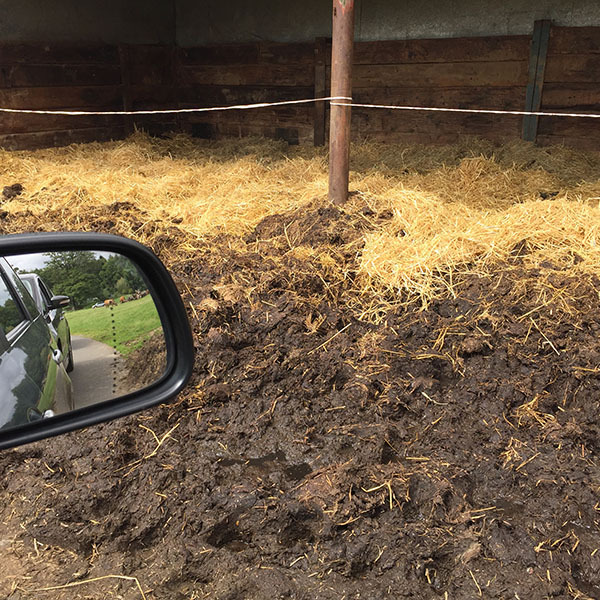 Equally horse manure is actually not that good a manure with pretty low Nitrogen, Phosphorus and Potassium (NPK) values of 0.44, 0.35, 0.30. 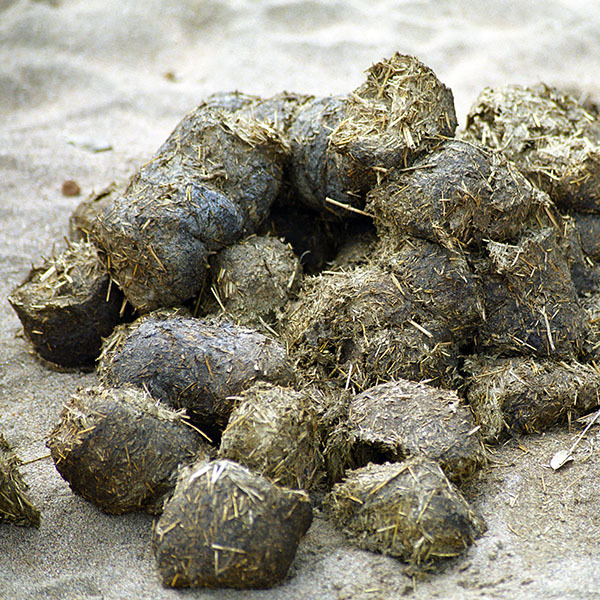 Consequently, spurred on by my safari park visit, I started to look into the nutritional content of zoo animal manure. It’s quite tricky to track down the NPK values for hippopotamus poo but I found a few values for elephants and zebras and added them into my ongoing NPK chart below. It would seem to me that elephant dung is the business for fruit and pumpkins because it contains so much potassium (K) on top of the nitrogen (N) and phosphorous (P). If you are a British gardener zoo poo is not the easiest thing to locate. Initially all I could find online was a closed down zoo poo sales offer in Devon and small novelty Ben and Jerry’s sized tubs of zoo poo in zoo shops for extortionate amounts. “Surely somebody is selling the stuff in bulk?” I thought. 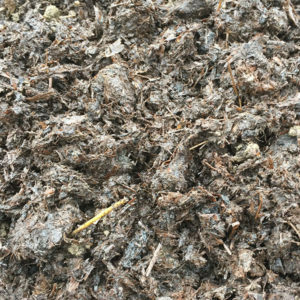 Eventually I came across Mr Watmore’s Organics who rather confusingly have zoo poo on a page called ‘Watmore’s Organic Farm Manure’ but the body text is all zoo related. 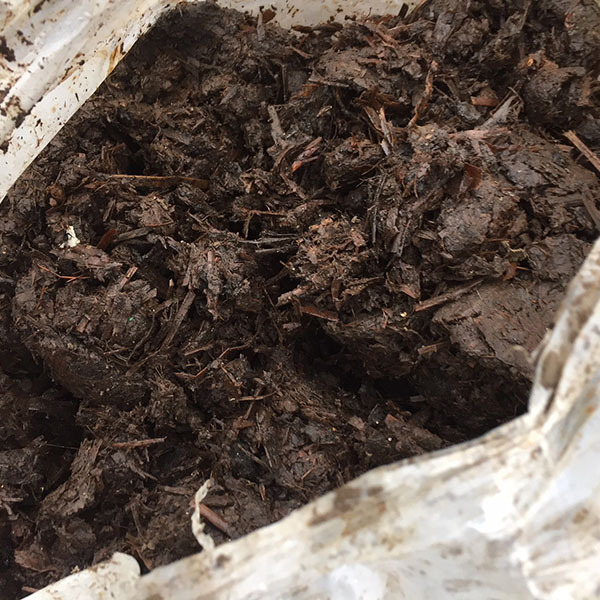 A phone call to Mr Watmore’s confirmed that the product on offer is indeed zoo poo and it comes from Knowsley Safari Park near Liverpool! 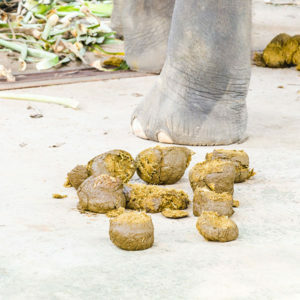 To quote a little about Mr Watmore’s zoo poo offering: it is the combined product of animal bedding and manure from elephants, goats, hippos, rhinos, zebras, giraffes and other herbivores. No carnivore, omnivore or primate manure is used. It is collected from around the zoo and brought to Mr Watmore’s licensed processing facility. Once there, it is placed in a pile and allowed to heat up to a high temperature long enough to destroy any pathogens, parasites, or weed seeds that might exist. 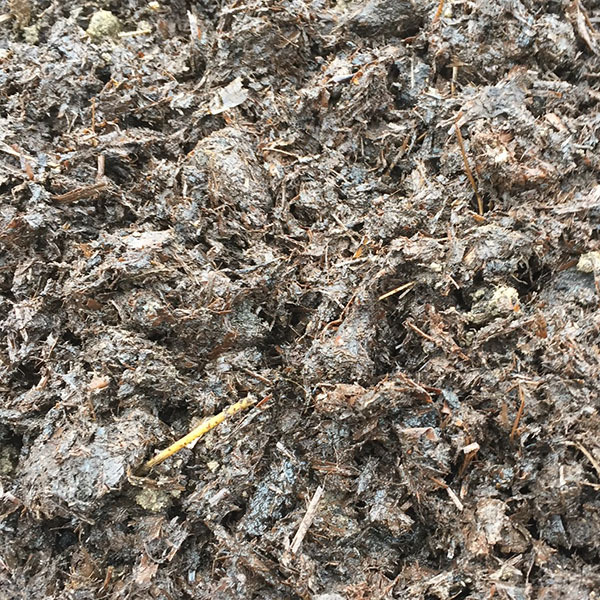 After that phase has been completed they bring up the oxygen levels of the pile to facilitate the composting process as well as providing air flow to cool the pile to an optimum rate of decomposition for at least 30 days. Finally the zoo poo is left to cure for 60 days. I ordered 1000 litres of lovely zoo poo for £99 (9.9p per litre) and it arrived on a pallet in around ten days. There were 24 bags and they are heavy! It’s certainly 90% manure as claimed, it looks a lot like the regular well-rotted horse muck with which we are all familiar but much BIGGER poo. 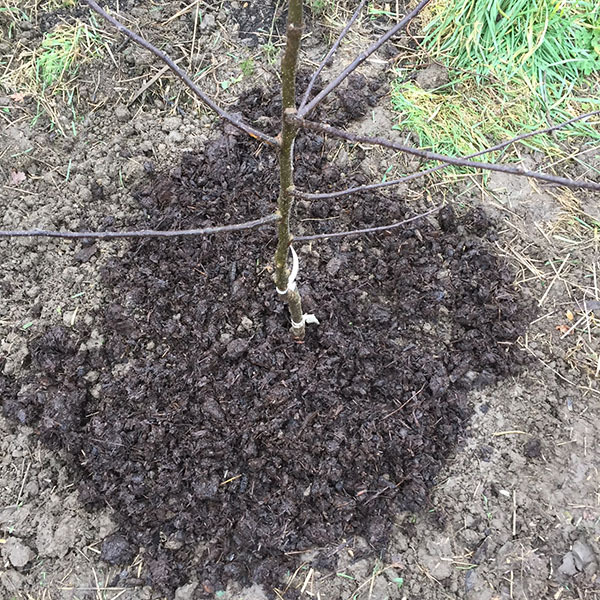 You wouldn’t use it for seedlings but it will make an excellent mulch for most allotment beds and will soon be going down on my new giant pumpkin patch. Hopefully there’s a lot of elephant poo in there! It seems that Mr Watmore’s have possibly fallen on hard times, their email addresses bounce back, they take phone calls but I have a friend on Twitter who has been waiting 10 WEEKS for a zoo poo refund after they failed to deliver it. I no longer recommend buying from Mr Watmore’s. I’m a bit dubious that zebra is much different from horse in the NPK department.. A zebra is basically a wild horse. Physiologically I doubt it’s much different. Yes I know what you mean. I can’t remember which source I found for zebra, I’d expected it to be low too. Perhaps they eat something extra/different in a zoo?